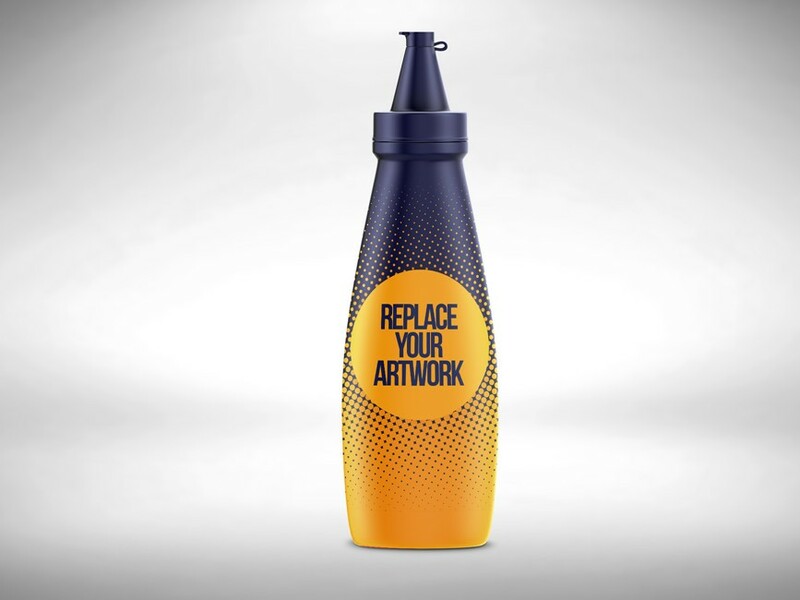 Download Free Plastic Sauce Bottle Mockup. This Mockup template which is perfect for showcasing your Plastic Sauce bottle label and packaging designs in a photorealistic manner. just replace the sauce bottle label with your own bottle label design and you are done. Nice work done by Anuj kumar.